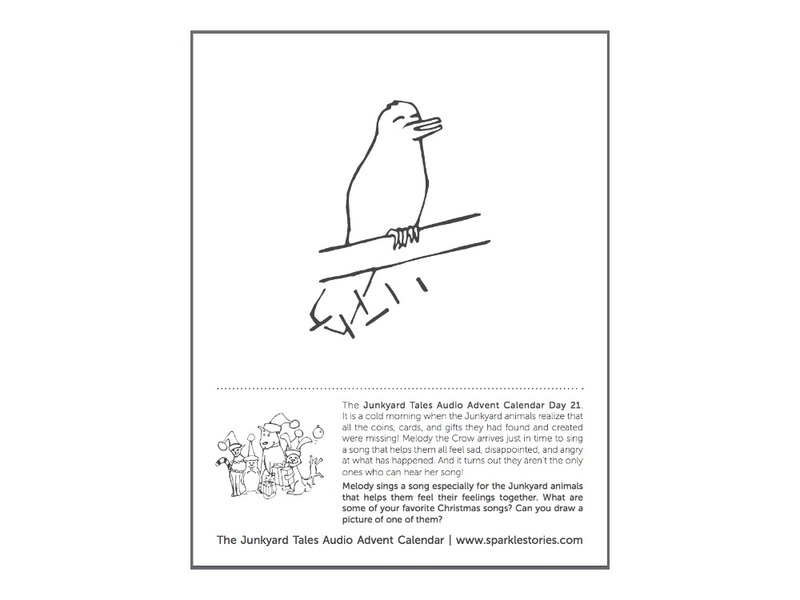 The Junkyard Tales Audio Advent Calendar Day 21. It is a cold morning when the Junkyard animals realize that all the coins, cards, and gifts they had found and created were missing! Melody the Crow arrives just in time to sing a song that helps them all feel sad, disappointed, and angry at what has happened. And it turns out they aren’t the only ones who can hear her song! Melody sings a song especially for the Junkyard animals that helps them feel their feelings together. What are some of your favorite Christmas songs? Can you draw a picture of one of them?